There are a greater number of people today who enjoy sweet tasting foods but are looking for natural sugar substitutes that will improve their health, not diminish it. Refined, highly processed sugars are not the answer if attaining long-term health is your goal. 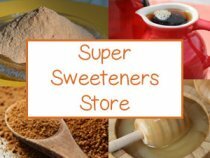 If you are someone who has had a past history of sugar addiction or are currently looking for new healthier sweeteners to replace the customary white table sugar, artificial sweeteners or high fructose corn syrup, some of the sugars we list below might provide some healthier alternatives. Of course, your own selection of natural sweeteners is very relative to what you are typically used to consuming. For example, some people are looking to trade out various types of refined cane sugar with healthier options like raw honey, coconut sugar, maple syrup or xylitol. Whereas others might be shifting to a low or no sugar diet in which other sweeteners like stevia, Lakanto and yacon syrup might be more appropriate. 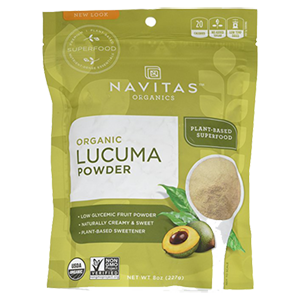 Although we are personally not big fans of using concentrated sugars, even the "natural" ones, in large amounts on a regular basis, we do use them when making the occasional dessert or shake recipe. We believe it's not small amounts of sugar use that requires concern, it's when they are used in excess that they can become a problem. The sweet taste is reminiscent of the sweetness of our first food, mother's milk, and a completely natural inclination. While juicy ripe fruits would be our first choice when reaching to quench this desire, natural sugar concentrates can also be suitable secondary alternative when we feel the urge. Daily stress in our lives can cause the body to contract and many of us innately reach for sweet-tasting foods for their expanding qualities. When consumed in reasonable amounts, these sugars can help to provide the necessary balance we need and also give us the energy to burn for life activities. Sweet tastes make life sweeter and naturally uplift the mood and spirit! 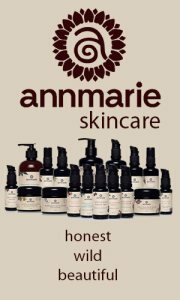 This is especially the case when using sugars, syrups, powders or extracts that are closer to the "whole plant food" or natural source they originated from. 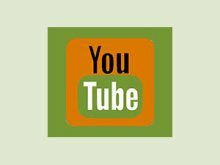 Alternative Sweeteners and How They Are Processed? 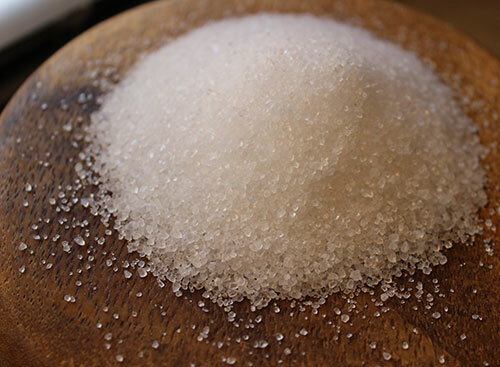 Most all-natural plant-based sugars start out as saps or juiced extracts, then when processed undergo cooking and evaporation techniques to either create a pourable liquid or dry bulk sugar crystals. In both cases the sugar content is substantially condensed. Even bees who make their honey from nectar (the sap of flowers) also evaporate the moisture content from the nectar to concentrate the sweetness. They do this by fanning their wings inside the hive, which helps to reduce the water present and develops the thick consistency we call honey. Condensing naturally sweet food sources may involve the use of low temp heat extractions and drying methods or may involve high heat to evaporate moisture content. Some sugar substitutes on this list don't necessarily require temperatures over 120°F (49°C) and can be purchased as a "raw" product from certain suppliers, while others may need a boiling process. In addition, individuals with any form of cancer or a past history of tumor growth should largely avoid all concentrated sweeteners as well as fruit sources, generally following a no or low sugar diet protocol using lower glycemic sugars, like monk fruit, yacon, stevia or Lakanto. Their "glycemic index" is a numerical ranking of carbohydrates based on the rate of glycemic conversion and the rise of blood sugar levels after digesting a food over a 2-3 hour period of time. Sugars that are released slowly into the bloodstream are low glycemic in nature and believed to be the most beneficial to consume on a regular basis. Keep in mind, however, that the glycemic index of any sugar or food is a general guideline and responses may vary greatly depending on a number of factors unique to each individual. Also described as the "rate at which glucose is processed in the body." Glucose is the molecule that all sugar consumed is converted to when digested. Foods with a high GI are rapidly absorbed by the body and can cause a sudden spike in blood sugar levels. This can be detrimental to diabetics, but also tends to create extreme fluctuations in energy as well as encourages mood swings and loss of mental focus. Because sugars low on the glycemic index are slowly absorbed, they allow glucose to be used as a fuel source rather than being stored as fat. It is additionally important to remember, however, that most sugar substitutes like the ones listed below are best when integrated with whole food sources, not consumed exclusively by themselves. One technique we often employ when using various healthy sweeteners in foods and drinks is to use a blend of the different varieties. In this way you can get some of the health benefits of each, while simultaneously creating more of a balanced glycemic index. Because some sweeteners like stevia, monk fruit, Lakanto and yacon syrup are zero to low glycemic sugars, they can be used with the higher glycemic ones, like raw honey, coconut sugar and nectar, to provide less of a spike in blood sugar levels as well as a reduction in calories. 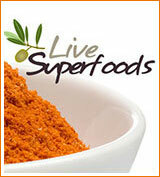 This can be a much improved alternative for diabetics or those wanted to loose excess body weight. Whether you have issues with obesity or just want other choices available ready for use in your kitchen pantry, the natural sweeteners list below are some of our preferred sugar alternatives that can be used when you want additional sweetness in desserts, teas or blended drinks. 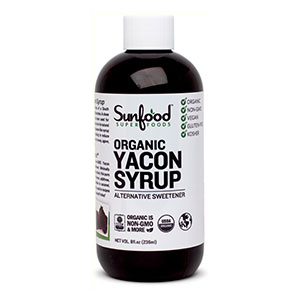 Yacon syrup is a low glycemic, low calorie sweetener extracted from the yacon root. 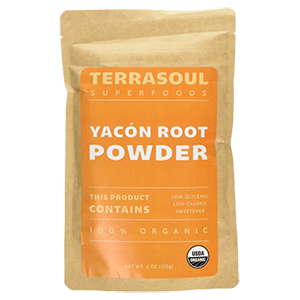 Yacon is native to the South American Andes mountains where is has been used by both the indigenous Incan and Moche civilizations. Yacón (pronounced "ya-cone") is known to help control appetite and food cravings. 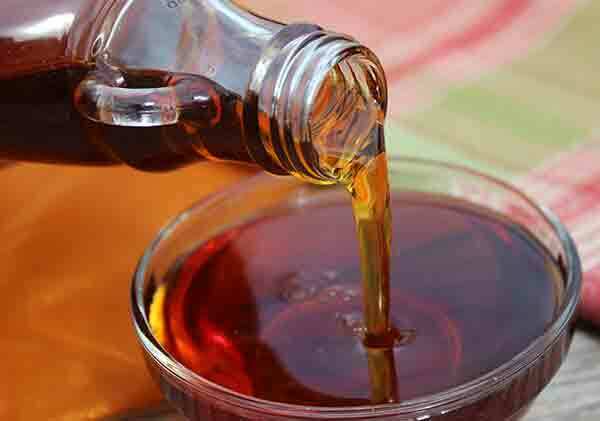 The syrup was highly endorsed on the Dr. Oz show in 2013 for its ability to increase metabolism, regulate blood sugar and normalize bowel movements, attributes of which are potentially beneficial for reducing body weight. The tuberous root contains longer chain sugars or fructooligosaccharide (FOS) that not only provide a low sugar content but also supply food for friendly bacteria, helping to improve colon health as well as the digestion of the foods we eat. 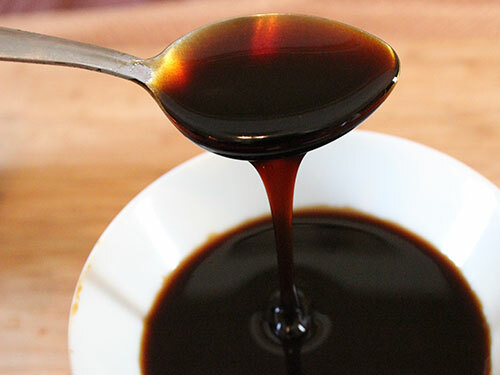 To process raw yacon sweeteners, the tuber is juiced, then evaporated and low temp heated to create a thick dark syrup or can be produced as a powder. Stevia is native to South America and has a long history of use by the native peoples of Paraguay. 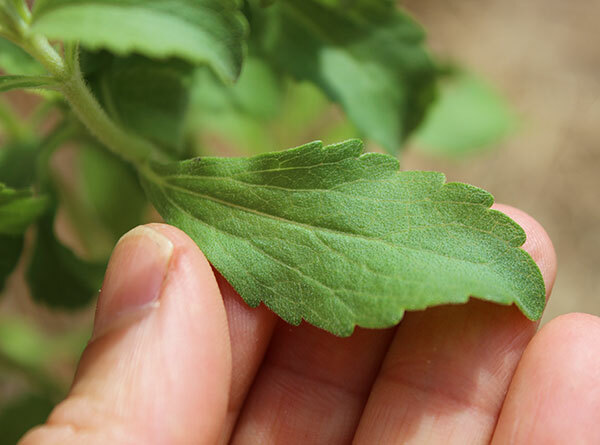 The stevia plant is an amazing sweetener whose leaves, depending on how they are process, can be between 30-300 times sweeter than white sugar. Although it provides a very sweet taste, the source of sweetness called the "steviol glycosides" is not metabolism by the body. 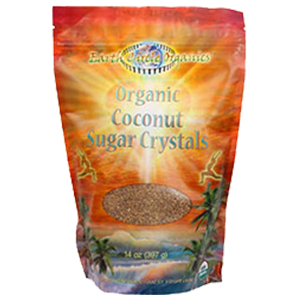 It is therefore the perfect sugar substitute for anyone with candida overgrowth or elevated blood sugar levels. 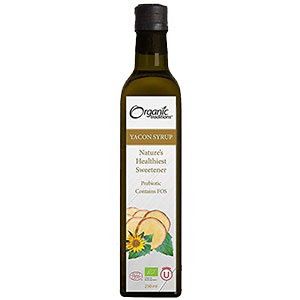 Its ability to stabilize blood glucose levels and regulate the pancreas makes it a great alternative for diabetics or those on a no sugar diet looking to lose excess body weight. 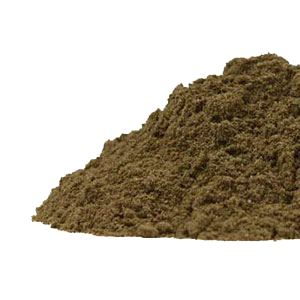 It is available as a green leaf powder, fresh dried leaf and a liquid or white powdered extract. 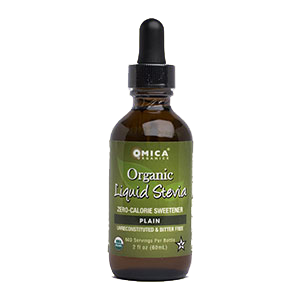 Learn how to make your own homemade stevia extract in the link below for a high quality concentrate that's cheaper than many liquid stevia's on the market. Raw honey is probably one of the world's most popular alternative sweeteners created by one of the most incredible creatures and master pollinators of the earth, the honeybee. Bees collect the sugary nectar from flower blossoms and convert it into honey through a regurgitation and water evaporation process. 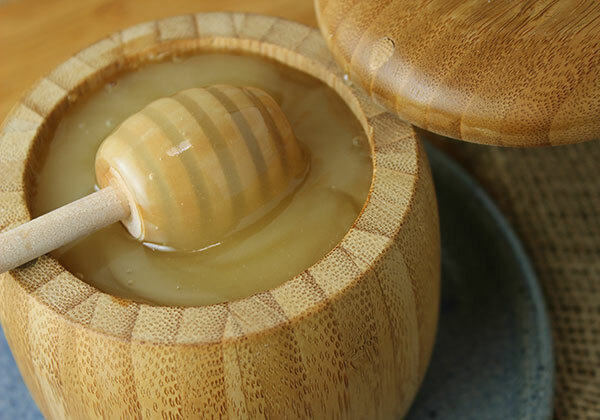 Unheated and unfiltered, honey is a thick crystalline paste or thick viscous liquid that still retains all of the nutrients, living enzymes and medicinal compounds that honey is known for. 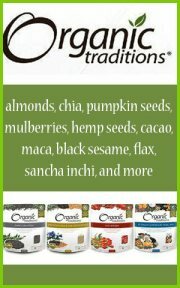 It is by far one of the most nutritious on our natural sweeteners list. Containing both bee pollen and propolis, honey provides antibacterial, antifungal and antiviral properties that have been utilized throughout the ages to reduce inflammation, boost the immune system and aid digestive functions. 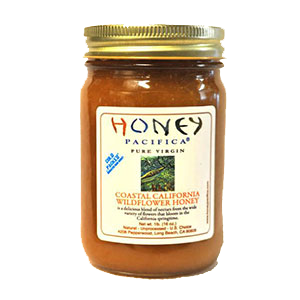 Various types and grades of raw honeys are available commercially. Depending on the floral origin, they can range from solid yellow-white to dark amber or black and every color in between. 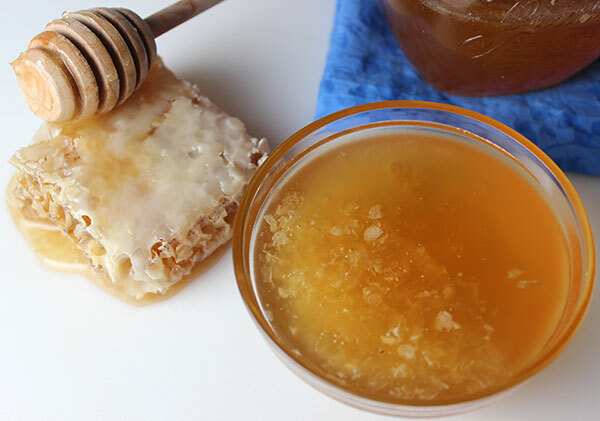 Non-filtered honey can have a more crystallized texture which can turn a lighter cream color from the glucose crystals as well as wax, pollen and propolis content. Monk fruit contains a substance called mogrosides that give it a very sweet taste but with no calories or effects on blood sugar because of the way it is metabolized in the body. Monk fruit liquid extracts and powders do employ the use of heat, with hot water infusions or drying methods that are usually above 120°F (49°C). This does not, however, raise the glycemic index like it would other plant-based sugars. In addition to monk fruit, many health-conscious consumers have recently started using a natural sugar made from luo han guo fruit called lakanto. Lakanto is a blend of the monk fruit extract and the sugar alcohol erythritol. Originally developed by the Japanese company Saraya Corporation, it provides a crystalline texture similar to turbinado cane sugar and can be used as a one-to-one ratio replacement for white sugar in recipes. 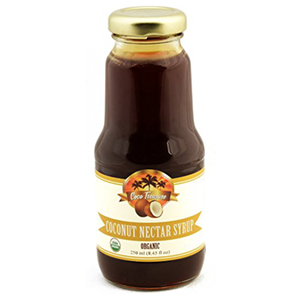 Coconut nectar does not come from the actual coconuts of the coconut palm species (Coco Nucifera), but from tapping the stems of the coconut blossoms. 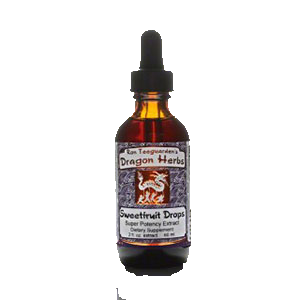 This exudes a nutrient-rich sap which is further processed as a liquid "nectar" or syrup. 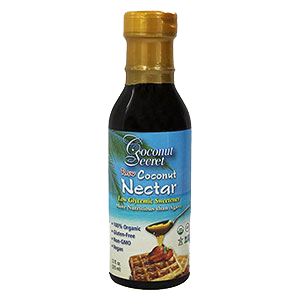 With flavors similar to both maple syrup and molasses, coconut nectar gets its nutrients from rich volcanic soils that tall and resilient coconut trees grow in. 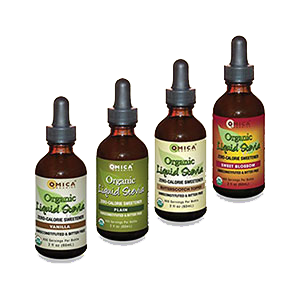 The nectar is considerably high in amino acids, minerals, many vitamins and trace elements. It also has a lower glycemic index with a GI of 35 and contains the longer chain sugars or fructooligosaccharide (FOS), which act as prebiotic agents for beneficial intestinal microflora. Coconut palm nectar is available as a raw product, which means it is evaporated at low temperatures, retaining all its enzymes and life-force. The sap is actually a white milky liquid that has to be immediately heated to stop it from naturally fermenting. This is successfully achieved at temperatures between 105°-110°F (40°-43°C), which preserves the rich nutritional components. There are some brands that heat their nectar to temperatures of around 180°-250°F, so make sure to read your labels for the highest quality and health benefits. 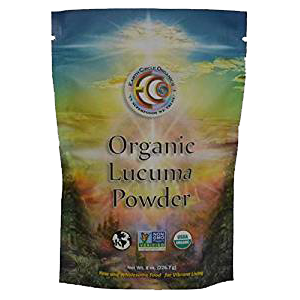 Lucuma (Pouteria lucuma) is a subtropical, yellow-orange fruit from the lucuma tree and is native to South America, indigenous to the Andes regions of Peru, Chile and Ecuador. Prized by ancient civilizations of Peru, it was one of the staple food crops consumed and cultivated by the Inca peoples using their sophisticated form of agriculture. Today it is mostly sold internationally as a milled, fine silky powder that is slightly lighter in color compared to the harvested fruit. As a natural whole fruit-based sweetener with a fairly low GI, it is known to offer a sweet taste but without a concentrated amount of sugar content. 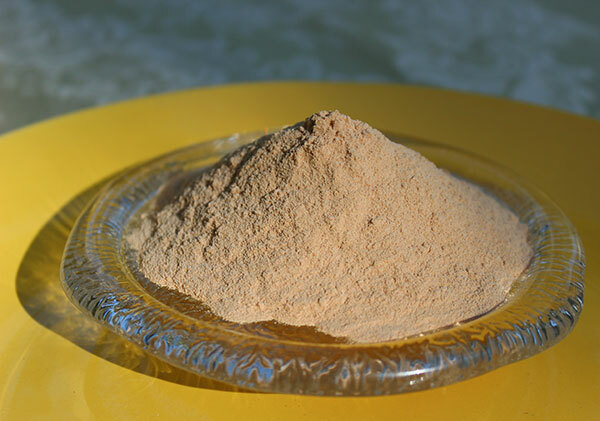 The consistency of the dried fruit powders is not usually ideal for dissolving into hot teas and drinks, unlike crystallized sugars or syrups, and it has a bit of an aftertaste. 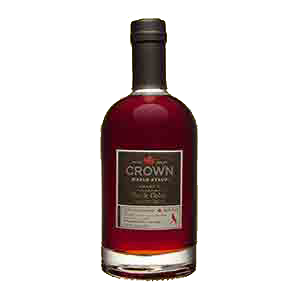 It is typically blended into foods, drinks and desserts and adds a creamy texture and subtly sweet taste that is reminiscent of butterscotch, but with a fragrance that smells a bit like ripe apricots and dried goji berries. Pure maple syrup is produced from the sap extracted from sugar maple trees primarily growing in regions of the northeastern U.S. and Canada. 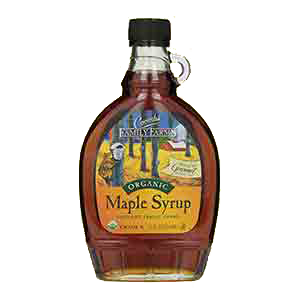 Pure maple syrup is also right on the cusp of what is considered to be a low glycemic sweetener, with a GI of 54. 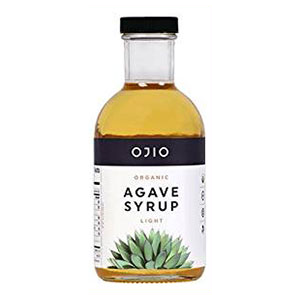 According to an article posted on the Body Ecology website, pure maple syrup is listed as potential option, next to molasses and quality agave, for those reintroducing sweeteners into the diet after a candida cleanse. 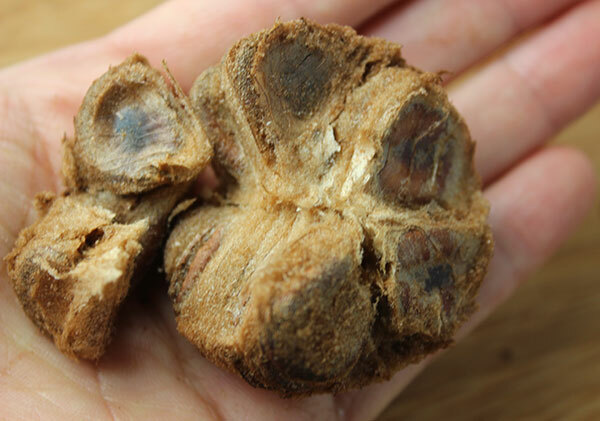 Date fruits come from the date palm species Phoenix dactylifera, which grows in dry desert-like climates around the world but is indigenous to regions of the Middle East and Northern Africa. Known as one of the oldest cultivated crops, it has hundreds of different cultivars. The top two most popular varieties grown and exported around the world are the medjool and the deglet noor. The medjool date is by far one of the larger variations and undeniably the most famous with its rich robust caramel-like flavor and moist yet chewy center. Date palm trees and their ripening fruits are essentially like tall solar collectors absorbing sunlight and concentrating it into a highly condensed sugar source, predominantly glucose, fructose and sucrose. 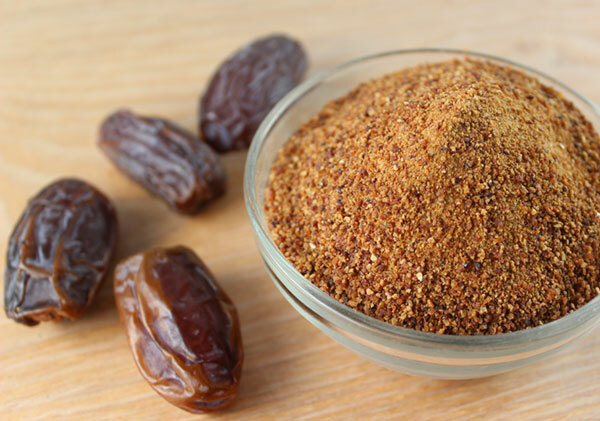 Dates are also hardened and granulated into "date sugar" which can be used as a replacement to refined selections. One of the key benefits to dates and date sugar is that, as a whole food, they contain good amounts of dietary fiber as well as nutrients. This helps so slow the rate at which it is digested, providing a healthier boost of energy when needed. 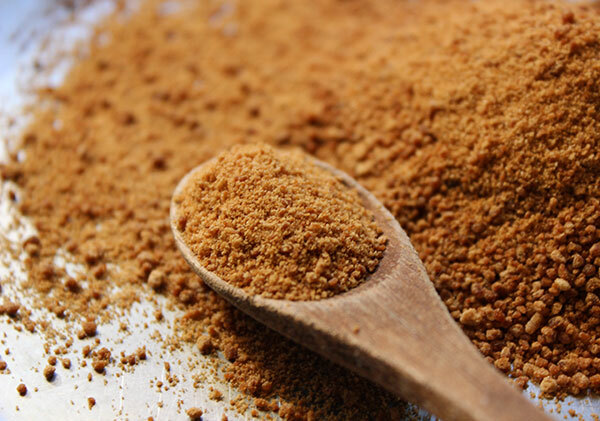 Coconut sugar is a light brown to reddish-brown crystalline sugar sourced from the Cocos nucifera palm tree. 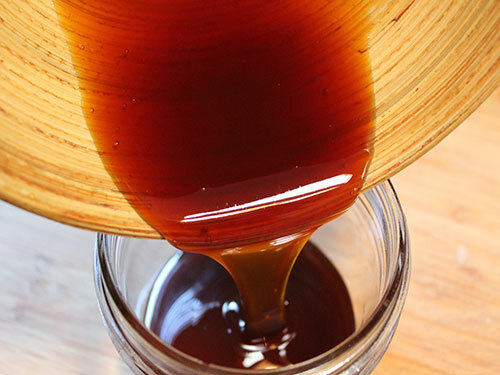 Using the same procedure to make coconut nectar, coconut sugar is also created from the sap collected from coconut blossom stems. It has quickly become a popular natural sweetener in recent years because of its lower glycemic index and sugar-like texture. Also referred to as palm sugar or coconut palm sugar, it should not be confused with other types of palm sugar that come exclusively from certain species of date palm or the Arenga saccharifera palm tree. 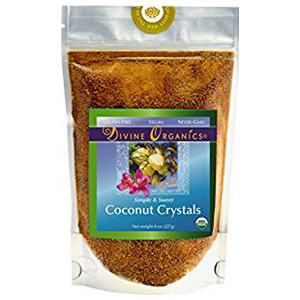 There are many brands of coconut sugar on the market that are high heat processed and we do not recommend these types of sweeteners as they are high glycemic concentrates. 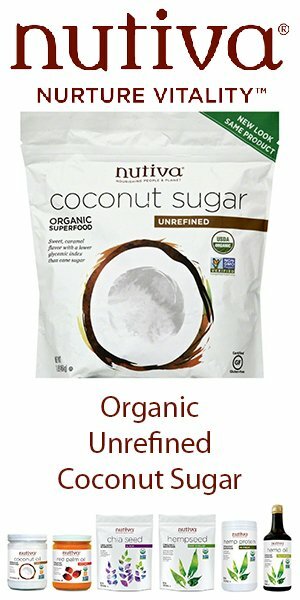 Raw coconut sugar can be purchased by several reputable companies who employ the same low temp treatments used to make raw coconut nectar syrups. 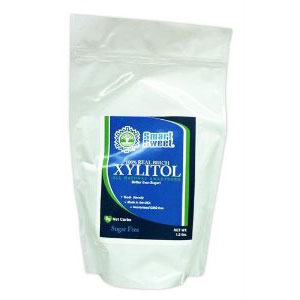 Xylitol (pronounced zahy-li-tawl) is a sugar-alcohol naturally present in certain fruits, like berries, mushrooms, vegetables and hardwoods. 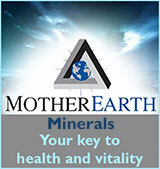 The body, during the normal process of metabolism, also naturally produces it in small amounts. Technically it is a 5-carbon polyol, which is a cross between a sugar and an alcohol. Most commercial crystalline forms are derived from the substance called xylose found in either corn cobs or birch tree bark. Although many claim that there is no molecular difference between corn, birch or whatever natural source is used to make it, many health experts believe that birch hardwood sourced xylitol is nutritionally superior to corn and we generally agree with this view. 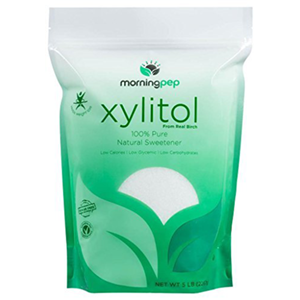 Xylitol is often used as alternative to white cane sugar with a similar taste, texture and sweetness, but is close to half the number of calories and doesn't cause spikes in blood sugar, which can negatively affect energy levels. Furthermore, xylitol is an alkaline food source, not acidic like sugar, and doesn't create an unpleasant aftertaste like other sweeteners. Although xylitol is a processed sugar that undergoes the same hydrogenation techniques used to concentrate most all polyol sugars, it is certainly an upgrade from many of commercial sugars and artificial sweeteners. It also upholds a number of unique health benefits over other sugars with a considerably lower glycemic index. In addition, it is alkaline to the body rather than acidic and is well known for its positive effects on dental hygiene and cavity prevention as it inhibits the growth of plaque formation. Raw fruit is a great source of super, juicy natural sweetness that is filled with sunlight energy and structured water content. There is nothing quite like picking fresh ripe fruit straight from the tree and we consider it to be the ultimate form of sugar to add to the diet on a regular basis. Most natural sugars, syrups, extracts and powders are short chain sugars such as fructose, glucose and sucrose. However, there are also longer chain sugars called polysaccharides that are good to consume on a regular basis. Although they provide less of a sweet taste, they are great for detoxifying cells, feeding our brain neurons and building deep immune health. 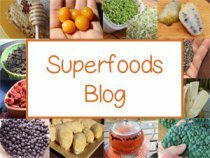 Some of the foods that contain these polysaccharide-rich superfoods include aloe vera, seaweeds as well as all of the medicinal mushroom varieties.